aheinecke added a project to T3824: GpgOL: MAPI to MIME conversion not working properly with Kopano Server: Stalled. Hi, gpg4o does not send PGP/MIME (the proper format for including attachments and no encoding problems). As such it does not have the Problem described here. You can use "Send PGP Mails without attachments as PGP/Inline" in the options of GpgOL to have something similar. This will also work for Kopano. aheinecke added a project to T4076: Kleopatra: General Error when trying to encrypt to S/MIME with unknown CRL while offline: Stalled. I can't reproduce this. When I make Dirmngr offline I correctly get a No CRL known error. So it must be something different. werner raised the priority of T169: Add a way to generate keypairs from a passphrase from Low to Normal. The problem with mnemonics based on words is that they are language dependent and only a small part of the world is fluent enough in English to spell/use them correctly. Thus anything based on ICAO spelling (Alfa, Bravo,...) is a better choice than arbitrary words from one language. Even if that meas to write down a longer string. A CRC is of course very useful. Judson added a comment to T169: Add a way to generate keypairs from a passphrase. It would be great if this feature were implemented with a mnemonic code option, with a built in checksum, as described in bip39: https://github.com/bitcoin/bips/blob/master/bip-0039.mediawiki Using the same bip39 standard (and perhaps others, as alluded to in T3497) would also improve compatibility with existing crypto key storage devices (i.e. cryptocurrency wallets used as smart cards). Dr_IT added a comment to T2883: GpgOL: Move/Copy/Save/Export mail doesn't work. 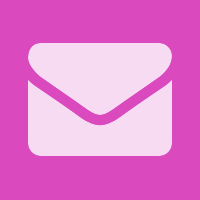 aheinecke added a comment to T2883: GpgOL: Move/Copy/Save/Export mail doesn't work. aheinecke added a comment to T3459: GPGOL Moving mails is not possible if the decrypted / verified content is loaded. Register an event handler for each folder in which a decrypted item is read. "Mailitem->parent" In this event handler listen to the beforeitemmove event. In that event then close the mail / discard the decrypted contents. I got an Idea how to improve the situation here. But its very complex and might break Outlook even for unencrypted mails. So it's very invasive. aheinecke closed T3340: Ensure PGP Inline Signatures stay intact when decrypting permanently combined mails as Resolved. dkg added a comment to T2019: Order of magnitude degradation in performance in gpg2 cf gpg. alphazo added a comment to T2859: TOFU not affected by Key deletion. aheinecke renamed T3459: GPGOL Moving mails is not possible if the decrypted / verified content is loaded from GPGOL prevents Outlook 2010 to move mails from Inbox to another folder to GPGOL Moving mails is not possible if the decrypted / verified content is loaded. aheinecke closed T3303: Look into reported Hang of Outlook with GPGOL (KDE Bug #355298) as Invalid. Can't reproduce and there were tons of fixes to gpgol in the meantime -> invalid. aheinecke closed T2883: GpgOL: Move/Copy/Save/Export mail doesn't work as Resolved. aheinecke triaged T3459: GPGOL Moving mails is not possible if the decrypted / verified content is loaded as High priority. werner merged T3497: mnemonic phrase based backup for OpenPGP / GnuPG / gpg keys into T169: Add a way to generate keypairs from a passphrase. gniibe claimed T2964: dirmngr and gpg-agent should work automatically even when GNUPGHOME is larger than sun_path. kai added a comment to T3340: Ensure PGP Inline Signatures stay intact when decrypting permanently combined mails. Ok, I implemented this for Inline messages. The resulting armored literal data packet is encrypted as PGP/MIME message. I'm not sure this is what we want. marcus placed T2245: pinentry on wrong monitor up for grabs. marcus placed T2815: TOFU conflict not part of GpgME's sigsum up for grabs. marcus placed T2859: TOFU not affected by Key deletion up for grabs. aheinecke added a project to T3340: Ensure PGP Inline Signatures stay intact when decrypting permanently combined mails: Stalled. Ok. Lets put this problem back until we have a possibility to encrypt through filters so that can maybe enable this just for some kind of reenecrypt workflow. aheinecke added a project to T3303: Look into reported Hang of Outlook with GPGOL (KDE Bug #355298): Stalled. I can't reproduce this I even tried to completly remove TCP/IP from the DCOM Protocols. No problems. marcus closed T2926: Design gap in openpgp card process as Wontfix. As others have pointed out, we don't implement the Bell-Lapadula model. marcus added a project to T2883: GpgOL: Move/Copy/Save/Export mail doesn't work: Stalled. marcus added a project to T2859: TOFU not affected by Key deletion: Stalled. werner added a comment to T1235: adding automatic refresh-key. T3252 is about meta data for each key. marcus placed T464: Win32 console: non-ASCII file names output incorrectly up for grabs. marcus added a project to T1235: adding automatic refresh-key: Stalled. marcus edited projects for T2186: --encrypt-to ambiguous with a expired and revoked key, added: gnupg (gpg23); removed gnupg. marcus added a comment to T2186: --encrypt-to ambiguous with a expired and revoked key. The revert was done in 7195b94345b0bb937477dc47fc5ec27fb108a099. marcus edited projects for T2964: dirmngr and gpg-agent should work automatically even when GNUPGHOME is larger than sun_path, added: Stalled; removed In Progress, gnupg (gpg22). marcus edited projects for T2245: pinentry on wrong monitor, added: Feature Request, Stalled; removed Bug Report. marcus edited projects for T2019: Order of magnitude degradation in performance in gpg2 cf gpg, added: Stalled; removed gnupg (gpg20). marcus edited projects for T1938: --list-sigs on a keybox is extremely slow, added: Stalled; removed In Progress. werner lowered the priority of T169: Add a way to generate keypairs from a passphrase from Normal to Low. FWIW, OpenPGP's S2K and PKCS's PBKDF2 are very similar and don't make a difference except that we have calibration code for S2K in gpg-agent. marcus added a comment to T169: Add a way to generate keypairs from a passphrase. The change werner mentioned previously is eaba8d58acda66f428870794115cb22c2590ec5e, but this is based on Elgamal. RFC4880 since then specified S2K, and better approaches are available, too (at least PBKDF2 is in libgcrypt). These could be used with HKDF for RSA and other asymmetric key generation methods. werner closed T2056: libgcrypt: make check fails "random" test on OS X 10.11 with link error as Resolved. No way to test on El Capitain anymore. It works on Sierra. marcus added a comment to T1129: Should cope better with read-only keyrings. @werner do you have any updates on this? marcus added a comment to T1159: Outlook 2007 crash by some versions.